I am so giddy about this project I can't sit still. It all started last spring when I was sitting at home ogling the Quilt Market photos on twitter. I remember seeing this booth photo and taking full notice of the quilt in the back right-hand corner. What is that? It was Swoon by Camille Roskelley. The scale of those stars made my heart beat faster. I loved it. Fast forward several months and I started seeing some gorgeous versions of this pattern showing up on flickr. This halloween quilt from Amanda, this sweet baby girl version from Tracey, and this scrappy block from Erin. Oh-my-goodness, talk about love! I was anxiously watching from the sidelines. I already had several quilts started that I should be working on. No need to add to the project pile. Right? Enter the Pillow Talk Swap. I decided my partner needed a Swoon pillow. Yes she did. It is such a great, dynamic block and it was a lot of fun to make. I knew I wanted to make a whole Swoon quilt someday. Now let's talk about Katy. I don't know how she does it. Last year she got me started making the Single Girl pattern by Denyse Schmidt. Katy somehow knew that I had the pattern, knew I was dying to make it, knew that I cannot resist a good quilt along and knew that I was busy with other stuff and needed a nudge. 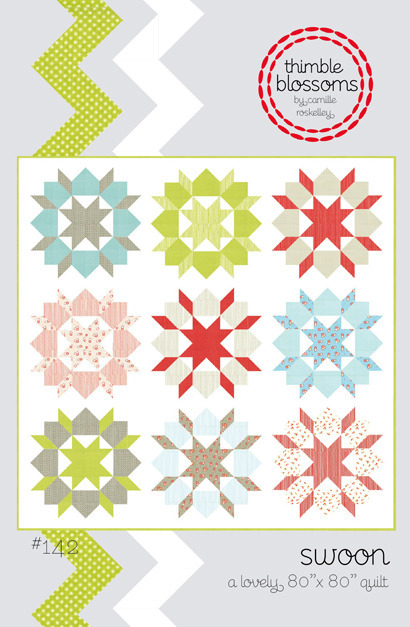 Katy started a Swoon quilt along over on flickr. Love her! Over 400 Swooners crowded around and said Yes! Me too! I'm in! Amazing. And so it begins. I am so happy to begin! 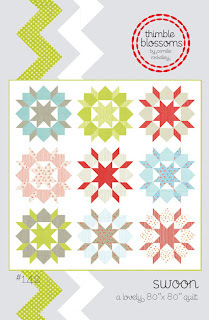 i saw my first swoon block up close at our MQG meeting this weekend, and i must say that i was really impressed! i didn't know they were so big! this is one sew-along i would love to join! 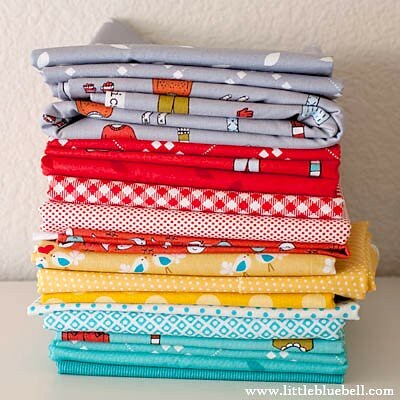 I am trying to make a swoon quilt too right now,but life has been getting in the way and sickness ad blah,blah,blah. I am determined to get the fabric cut for it though...I am on the white now and then it is time to piece. Your California #1 block is beautiful - so sunny and beachy! I love the fabrics you chose. With this QAL, everyone is joining up. I'm still on the fence, but yours will look fabulous! #1 is so pretty, can't wait to see your other pairings. 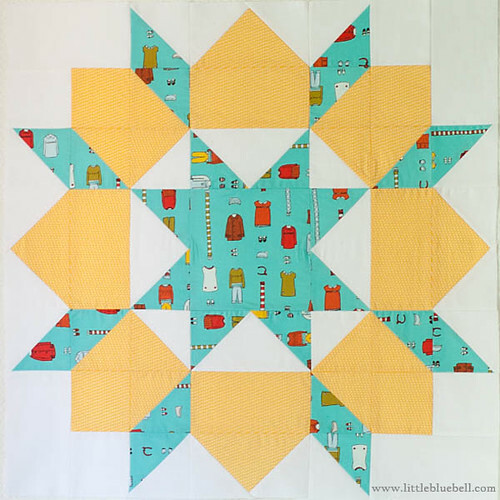 Love this quilt pattern and the fabrics you chose! I have had this pattern all year and this quilt along has got me excited to get it out and get going! Thank you for this QAL and all the pictures are great inspiration! Block one is gorgeous! I will be joining in once I return from the south! 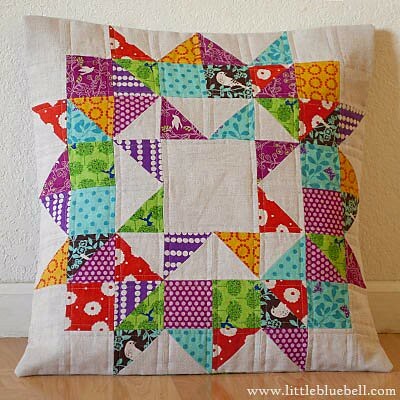 Can anyone join in, I would love to make this quilt for my bed! i have my pattern, I have my fabric. It's time to start swooning! No, I don't have that available and I'm sorry to say I didn't write down the dimensions I used. I think I used 3.25" blocks (unfinished) for a 22" pillow and if you look closely at my picture you can see that I didn't use any flying geese in mine. Double check my math before cutting all of your fabric, it's been a long day and my brain is mush. Here's what I came up with, I hope it helps.